Kempff, Louis (Oct. 11, 1841-July 29, 1920) was born in Belleville, Illinois, the son of Henrietta and Friedrich Kempff. After attending the local schools in Belleville, Kempff entered the U.S. Naval Academy in September 1857 at Annapolis, Maryland. Towards the end of his senior year at Annapolis, the American Civil War erupted and Kempff was detached from the Naval Academy and called into active service in May 1861. Midshipman Kempff was assigned to the Wabash, a steam frigate in the Atlantic Blockading Squadron. On November 7, 1861, Kempff participated in the Battle of Port Royal, near Hilton Head Island, South Carolina. On August 1, 1862, Kempff was commissioned as a Lieutenant and subsequently assigned to the Connecticut. At the close of the Civil War, Kempff was aboard the Suwanee in the Pacific Ocean. In February 1893 Kempff became a member of the navy's Examining and Retiring Board in Washington, D.C., before being appointed to several other boards of inquiry and court-martial tribunals. In May 1895 he entered the U.S. Naval War College, Newport, Rhode Island, where he completed the advanced course the following year. He then returned to the Examining and Retiring Board and was advanced to rear admiral in March 1899. He was posted to the Mare Island Navy Yard as commandant until March 13, 1900, when he became senior squadron commander, U.S. Naval Forces, of the Asiatic Squadron. In May 1900, during the Boxer Rebellion, Kempff commanded the U.S. flotilla ordered to Chinese waters in support of allied ground operations and distinguished himself during the fighting in and around Ta-ku, at the mouth of the Pai (Pei-ho) River. 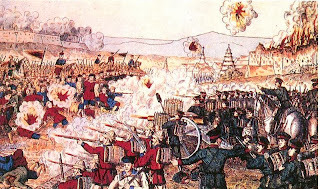 Upon his arrival, he ordered a combined landing force of navy bluejackets and marines ashore to protect the American legation in Peking (Beijing). The American landing force was joined by troops from Britain, Germany, other European countries, and Japan. The combined forces endured skirmishes and ambushes along the route to the Chinese capital, where they were attacked by large numbers of Boxers and turned back. When ships from the other allied countries were positioned at the mouth of the Pai River in order to bombard the fortresses there, Kempff refused to go along. He later explained that the "Chinese government had not committed, so far as I am aware, any act of open hostilities toward the foreign armed forces." Citing Kempff's refusal to fire on the fortresses, Secretary of the Navy John D. Long, in a telegram to the admiral, expressed "the satisfaction with his conduct which was felt by the Administration and the recognition of his discreet conduct in not joining in the fire on the forts." Relieved of command of the USS Newark in February 1901, Kempff transferred his flag to the USS Kentucky and proceeded to the United States, where the navy commended him for his successful tour while in the Far East and for his actions during the Boxer Rebellion. After a brief period of convalescent leave, Kempff assumed command of the Twelfth Naval District, which at that time encompassed the entire Pacific Coast. 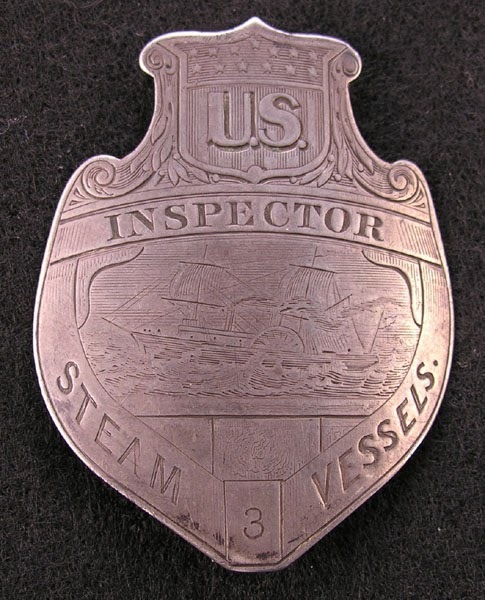 Concluding forty-six years of continuous naval service, he retired on October 11, 1903. Despite his retirement, he accepted positions as inspector, Steamboat Boat Inspection Service, in 1904 and as a member of a naval board of inquiry in 1909. After completely retiring from active naval service in 1909, Kempff died in Santa Barbara, California. Kempff's career as a naval officer followed the normal pattern of both sea and shore duty with special assignments, such as participation in tribunals and on examining and retirement boards. His skillful handling of the situation of Ta-ku, China, during the Boxer Rebellion demonstrated his solid professionalism as both a naval officer and a diplomat, skills not uncommon for naval officers during this era. Edward Payson Heald was one of ten children born to Abel Heald and Mary A. Sterns on February 5th in Lovell, Maine. Heald spent his youth in Maine where he took advantage of the educational opportunities afforded him, eventually becoming an instructor at the Portland Business College in Portland, Maine. Although young, Edward was highly regarded among both the faculty and students. Eventually he decided to leave his native state of Maine and travel to the West Coast. In 1863, at the age of twenty, he traveled to San Francisco, California. 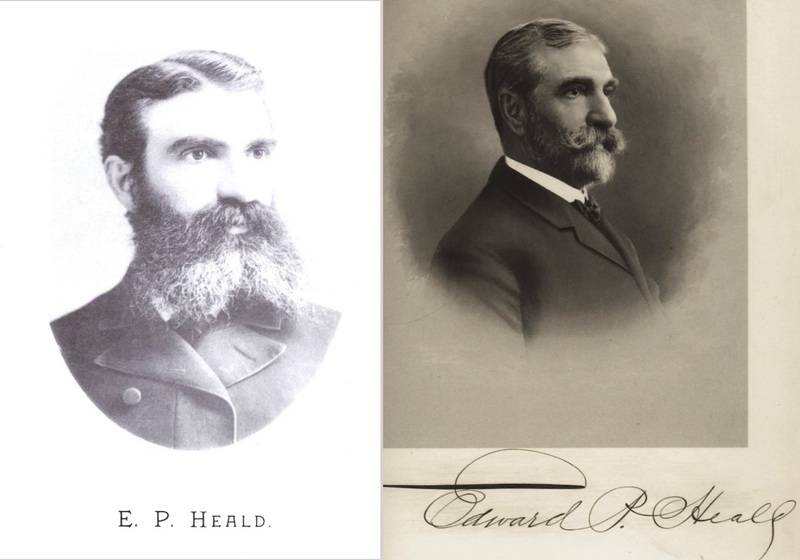 Upon his arrival to California, Heald set to work establishing Heald Business College in San Francisco, the first institution of its kind in the western part of the United States. Edward’s ability as a teacher and executive helped Heald Business College soon become a leader in the educational and business activities of the west. 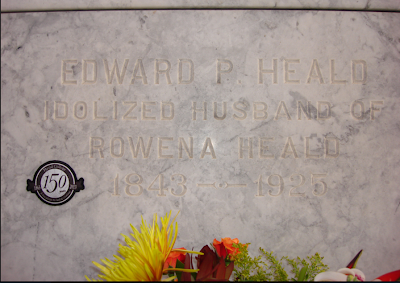 Edward Heald was an educational pioneer in many ways, especially when it came to women’s education. Heald Business College was one of the first schools that afforded women the opportunity to gain practical business training and played a major role in paving the way for women to enter into the business world. Also, as the industries of the world changed, Heald Business College changed along with them, introducing the study of the various branches of engineering, mining and even automotive repair to the course catalog. Heald College’s mission was, and continues to be, to prepare students for successful careers by providing them with career education that focuses on practical, hands-on learning. Heald College has persevered since 1863, weathering two major earthquakes and two World Wars, always remaining true to its original mission. As the needs of the workplace have changed, the Heald College curriculum has evolved from business courses to include technology, healthcare and legal degrees. In addition to the establishment of the college that bears his name, Heald was also heavily involved in many philanthropic and benevolent organizations and lent his influence and co- operation in support of efforts promoting the general good of the community. He was also involved in agriculture throughout the state including the operation of a large raisin vineyard near Fresno and a fine stock farm in Napa County, where he made a specialty of breeding high- grade roadsters, trotters and carriage horses. He also served as president of the Pacific Coast Trotting Horse Breeders' Association. 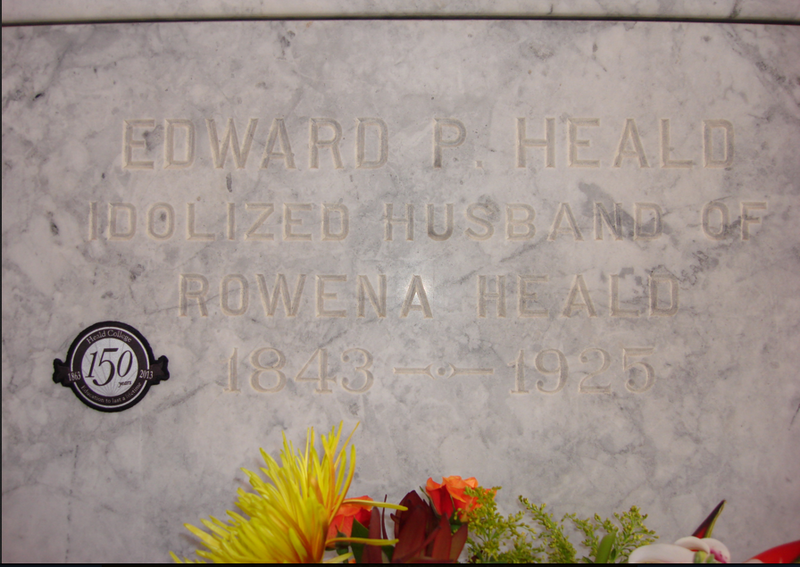 Edward Heald passed away in 1925 and is still regarded as a pioneer of education in the state of California. Heald College continues today with twelve campuses throughout California, Oregon and Hawaii and celebrated its 150th anniversary this year.